Non-GMO foods have not been genetically modified or altered. Moreover, these foods are much healthier and beneficial to the body, such as Tigernuts Traders natural tigernuts. The GMO varieties are enhanced through bioengineering and look much more appetizing, they are a brighter colour, bigger and free from imperfections, although they are less suitable for leading a healthy lifestyle. According to studies such as that carried out in 2011 by “The Cell Research”, these foods can transfer the modified DNA to the digestive system and incorporated into the bloodstream and the cells of vital organs, which affects the body’s ability to function. This means that, in addition to consuming carbohydrates or proteins genetic information is also ingested which can affect cells and consequently our health. Omega-9 oleic acid. These are very beneficial fatty acids, since most are of the monosaturated variety. Digestive properties. As a foodstuff, the tigernut contains starch, natural enzymes and amino acids which aid digestion. It also contains lipase and amylase, which are very good for reducing flatulence, bloating, heartburn and gastritis. Beneficial properties for the cardiovascular system. Reduces bad cholesterol (LDL) and increases good cholesterol (HDL). In addition, they are highly recommended for people suffering from conditions such as diabetes, hypertension, high cholesterol and arteriosclerosis, thanks to their antioxidant properties. 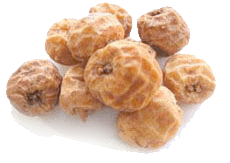 In addition, the tigernut acts as a prebiotic for the small intestine, promotes a healthy immune system and improves the body’s natural defences, is a source of iron and has a high nutritional value. It’s a good idea to consume a diet rich in natural foods like the tigernut for a long and healthy life.